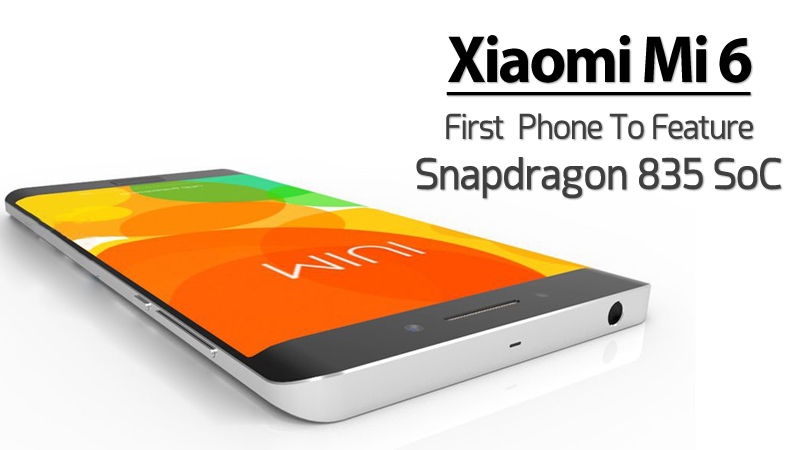 The Chinese smartphone manufacturer Xiaomi’s next flagship model which will be known as Mi6, was expected to be the first smartphone to be launched with the new Qualcomm Snapdragon 835 chipset. After nine months with the current flagship in the smartphone market, now it is the time to think about the next generation of Xiaomi Mi5. The head of market research firm IHS Kevin Wang (Kevin Wang) posted on his page on the social network Weibo information about the smartphone Xiaomi Mi6. However, Xiaomi Mi6 might be the next top-of-range of the Chinese smartphone manufacturer, but we are not talking about a normal top model: we are talking about the first smartphone to be launched with the new SoC of Qualcomm Snapdragon 835. But, not only that, the analyst Kevin Wang also added that the first smartphone in the world of the smartphone market, which will equip this of SoC, will be the Samsung Galaxy S8. Yes, we are talking about a very interesting and most awaited processor that was actually created by Samsung and Qualcomm together, a SoC that offers some really good performances but above all has a production process of only 10 nanometers. But, it is expected that the device will be released at around the same time when the Samsung’s Galaxy S8 will get its international launch, as it happens and Galaxy S8 will also be powered by the Snapdragon 835 SoC as we told earlier. However, this information is not verified yet or you can say that it’s not confirmed yet. Hence, this prediction doesn’t necessarily reflect any positive views, but hold on, this prediction also doesn’t necessarily reflect any negative views as well. According to the rumored specs, the new 835 SoC will increase the number of cores inside to eight and not only that the new chip will also include increased clocked speed of up to 3.0GHz, Adreno 540 GPU, UFS 2.1, 4K display support, four channel LPDDR4x memory along with the dual camera module support. For now the Chinese smartphone manufacturer Xiaomi was done releasing all its major smartphones for this year, but still, there are mid-rangers expected to be released in the next few weeks, including the rumored Xiaomi Meri aka Xiaomi 5C that should be the first Xiaomi smartphone to be powered by its own homegrown processor.